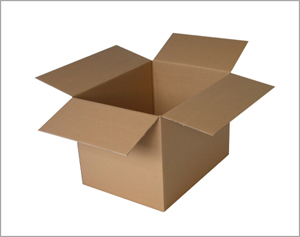 On this page you will find a brief description of the most commonly recycled materials here at Six-Pac Recycling. This is not a complete list. If your item is not listed here, you are encouraged to call our office with any questions. A stiff and thick kind of paper that is used especially for making boxes. 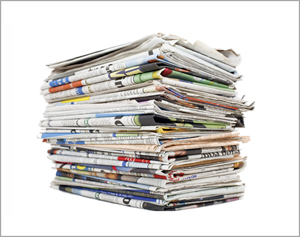 Newspaper is a classification of paper that is considered separate from “Office Paper”, or “Cardboard”. This paper can have color ink, and inserts. Newspaper cannot be wet, or have food on it. It must be clean and sanitary in order to recycle it. Not pet messes please. Your newspaper that comes to your door step. Keep is separate from other papers to ensure you get the best price. Paper must be clean and dry in order to be recycled. 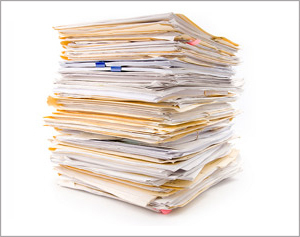 Office Paper is a classification of paper that is considered separate from “Newspaper”, or “Cardboard”. This paper can have color ink, inserts, and envelopes. Office paper cannot be wet, or have food on it. It must be clean and sanitary in order to recycle it. Not pet messes please. Your junk mail, household, or copy paper. Surplus paper from your printer, or old mail and bill that you no longer need. Shred any personal information before you recycle it. We do not guarantee the safety of your old bills, or other information as it passes through the recycling supply chain. Paper must be clean and dry in order to be recycled. Copper Tubing & Bare Copper Wire are commonly found in home construction. Bare Copper Wire is better known as “Bright & Shiny” copper. It by definition must be bright and shiny wire only. Copper wire is not the same as copper tubing. If your bright and shiny copper is oxidized, or has any paint or other contamination, it is not going to be graded as bright and shiny. 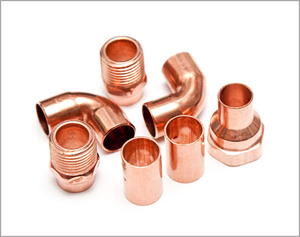 Copper tubing has two basic grades, Tubing #1, and Tubing/Copper #2. Tubing #1 is clean tubing, no soldered joints, paint or green oxidation. It can be dull in color, but if its green, then it is now considered #2. 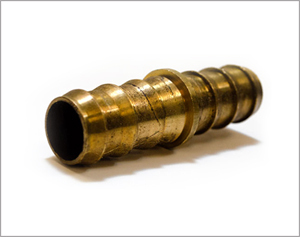 Tubing/Copper #2 is considered tubing with a colored coating, paint, solder or green oxidation. Bare wire with a colored coating is considered #2. Hair wire (wire that bends under its own weight) is considered #2. These are all based on industries standard. Ground Rods are NOT copper. Bright & Shiny Copper – stripped wire. Ground wire. NO PLASTIC, PAINT, or OXIDATION. Tubing #1 – New construction copper piping scraps, new joints. NO SOLDER, PAINT or GREEN OXIDATION. Tubing/Copper #2 – Old plumbing, soldered joints, green oxidized copper pipe. Colored bare wire. Hair wire (commonly found in welding power cords). We recommend that you keep your bare wire and tubing well sorted to ensure you get the best price. Wire that has a copper center, with a plastic cover surrounding the copper, insulating it from being touched. Wire is graded based on the ratio of copper:plastic. This is an industry standard. Their are 3 basic grading categories. Insulated Copper #1 (70% copper or better), #2 (%50-%70 copper), and #3 (%10-%50 copper). Final grading will be done onsite by the scale operator. 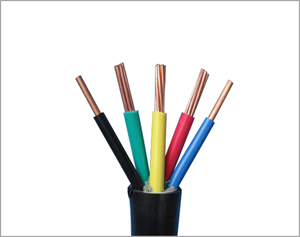 Copper Coax, or Cable TV Coax is not considered Insulated wire. 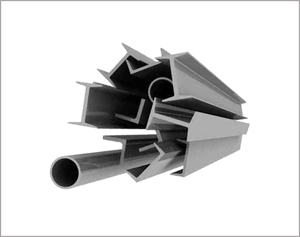 Unfortunately there is a lot of this material that has steel in it, so we can not include it in our wire. Insulated Copper #1 – 10 gage, 12 gage, 150 mcm, 200 mcm, 250 mcm, 500 mcm, #1, #2 wire. There are more then we can list. Bring it in if its not listed, and we can help you grade it. Insulated Copper #2 – Network cable with NO PLUGS, Extension cords with NO PLUGS. We recommend that you keep your wire well sorted to ensure you get the best price. Steel, Iron, Cast Iron are all considered the same thing in the recycling industry. It’s easy to check using a magnet. It the magnet sticks strongly, more than likely it’s going to fall into this category. Rusty metal, such as old I-Beams, car parts, nuts and bolts, nails, tools, yard equipment, appliances, hot water heaters, and more. Literally the list is more than we can list. If you need to recycle something with fluids such as oil, antifreeze, or any other hazardous material, we cannot take it until the fluids are removed. We cannot take vehicles unless the tires are removed. If your vehicle has an engine in it, you must provide title to the vehicle before we can recycle it.